My daughter, a masterful graphic designer and artist, has a great knack for finding me seemingly wacky gifts that I really use and enjoy. 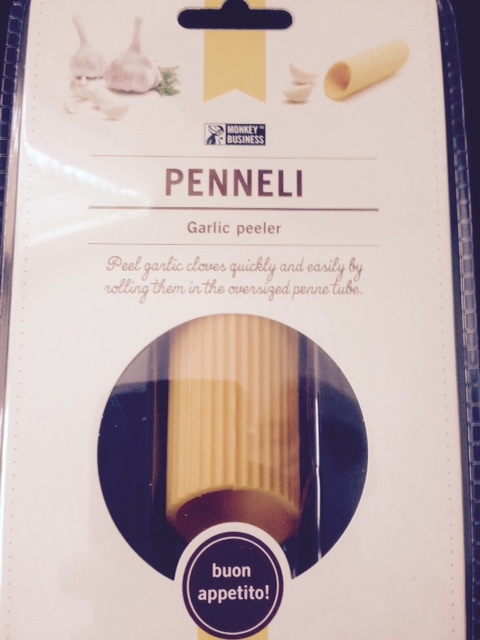 The latest she sent me for my birthday this year is called a Penneli and it is designed to peel garlic without all the usual messiness, and without getting that garlic smell on your hands that’s impossible to wash off. 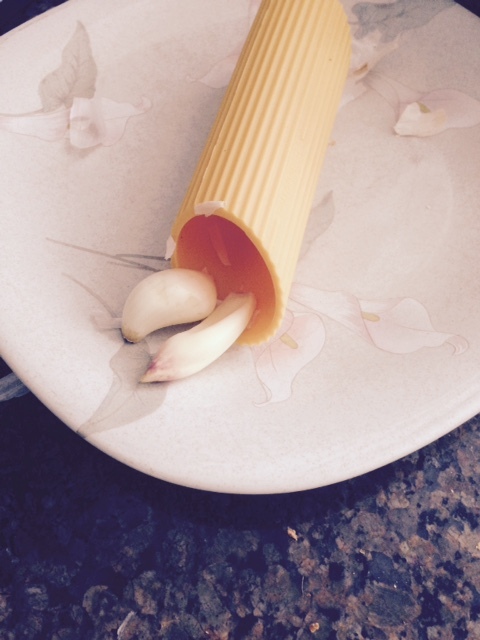 The Pennelli does a great job peeling garlic. The device is deceivingly simple looking. It looks like a big plastic piece of macaroni, perhaps ziti or penne. I wondered how it could skin garlic cloves. The answer is to simply put them inside and then roll them around inside the macaroni. You’ll find you’re really pressing down on them, I mistakenly thought it was hard plastic, but its soft. After a few seconds of rolling, tilt it over and the garlic comes out perfectly skinned. My peeled garlic. Thanks Penneli. I also found it for sale online for $13. If you have a cook in your family who loves garlic, this is a great gift.